Richard Irwin (Belper, United Kingdom) on 10 March 2010 in Plant & Nature. Every year in my garden I photograph these. This year they are one month later than normal. I'm normally photographing daffodils now, and the snowdrops would have finished. Hey, but it all started on AM3 for me 3 years ago exactly, so this photo is a bit of a celebration for me. I have posted an image every day. Gorgeous shot Richard so crystal clear and pin sharp. Crocus bulbs have just started to flower here this year - quite late. Congratulations on your 3 year anniversary!! 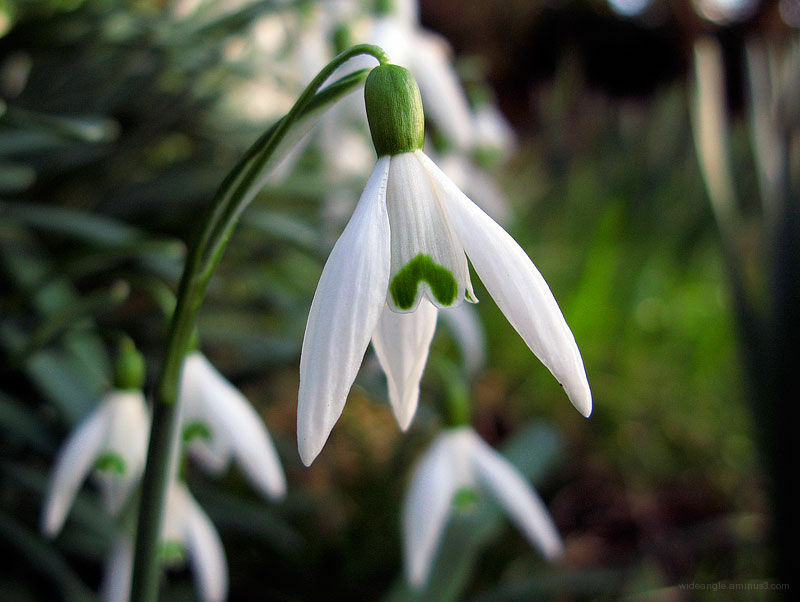 Gorgeous snowdrops. I was just out photographing mine today. They are such lovely, delicate flowers. Congratulations, Richard!!! We started around the same time... holy crap, I guess that means I've been posting for 3 years. Mind you, I've missed a lot of days. Good on ya!!! And a most FANtastic image to boot!